Pittsburgh, PA-based intellectual property law firm, Ference & Associates announced today that it secured judgments in the amount of $58 million and permanent injunctive relief in the United States District Court for the Western District of Pennsylvania in two civil actions against online counterfeiters who were selling on Amazon, eBay, and AliExpress. The judgments prohibit the defendants from manufacturing and selling counterfeits of the Negg® egg peeler, which is manufactured and sold by Connecticut-based Airigan Solutions, LLC. Judge Nora Barry Fischer awarded the maximum of $2M in statutory damages per defendant pursuant to Section 15 U.S.C. Sec. 1117(c) of the Lanham Act. One judgment is in the amount of $46M and the second judgment is in the amount of $12M. “We worked hard for a long time to develop a superior product for our customers and to obtain the appropriate patent and trademark protection,” said Sheila Torgan, co-inventor of the Negg® egg peeler. “We are happy the court entered judgment on our behalf and hope that this case helps other manufacturers know that it is possible to protect their intellectual property rights.” Information about the Negg® egg peeler may be found at www.neggmaker.com. Stanley Ference was assisted in this matter by Brian Samuel Malkin and the team of attorneys and professionals at Ference & Associates. Headquartered in Pittsburgh, Pennsylvania, Ference & Associates provides a full range of intellectual property legal services to global and national clients in technology-intensive industries, including software, electronics, biotech and entertainment. For additional information, please contact Marci Taylor at marci@mantrapartner.com. Airigan Solutions, LLC was founded in 2015 by Bonnie Tyler and Sheila Torgan, co-creators of the Negg™ Maker: The World’s Greatest Egg Peeler. Negg® is a patented egg peeler used by chefs and at-home cooks. 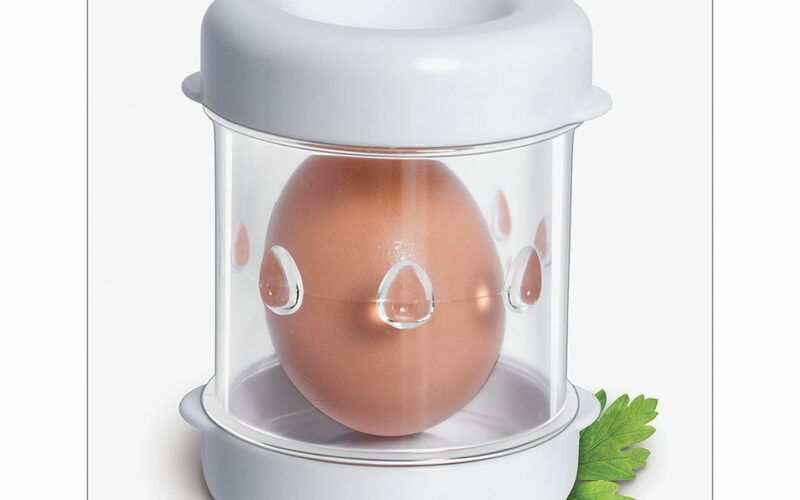 The Negg® egg peeler makes it possible to peel a dozen eggs in under four minutes.